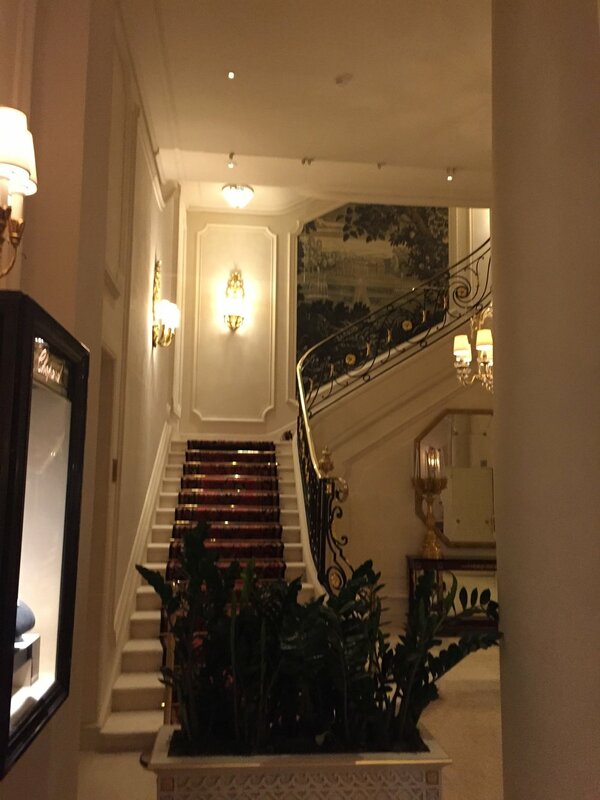 While we were in Paris on our honeymoon we were blessed enough to visit the Ritz a couple of times. We went to the Hemingway bar two nights, we had to go back! 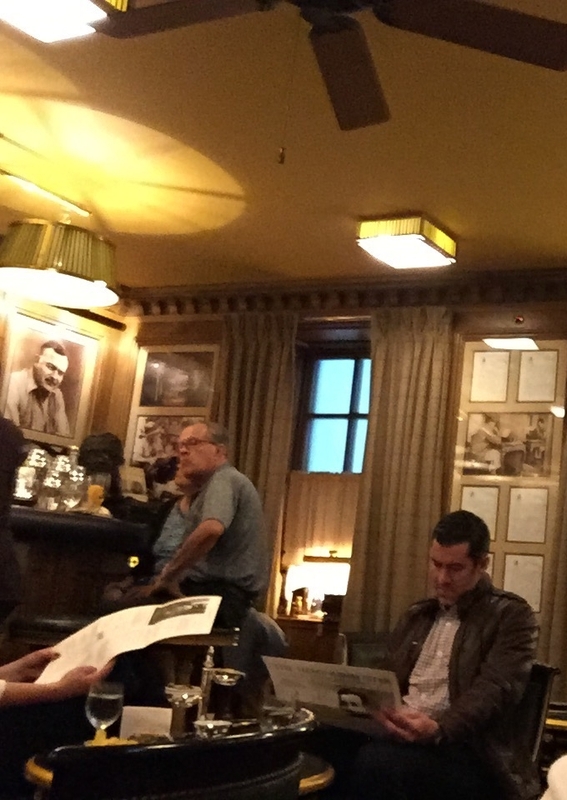 The bar is super cozy, and decorated with Hemingway like items, such as boxing gloves and all of his books. The cocktails were amazing, I got the white chocolate and a champagne cocktail and I've never tasted anything like either! All of the woman's drinks came with a rose on the side, which I thought was so charming. In addition, we got the typical bar bites of homemade chips, nuts, and olives. They were all were delicious, and we couldn't keep gnashing. 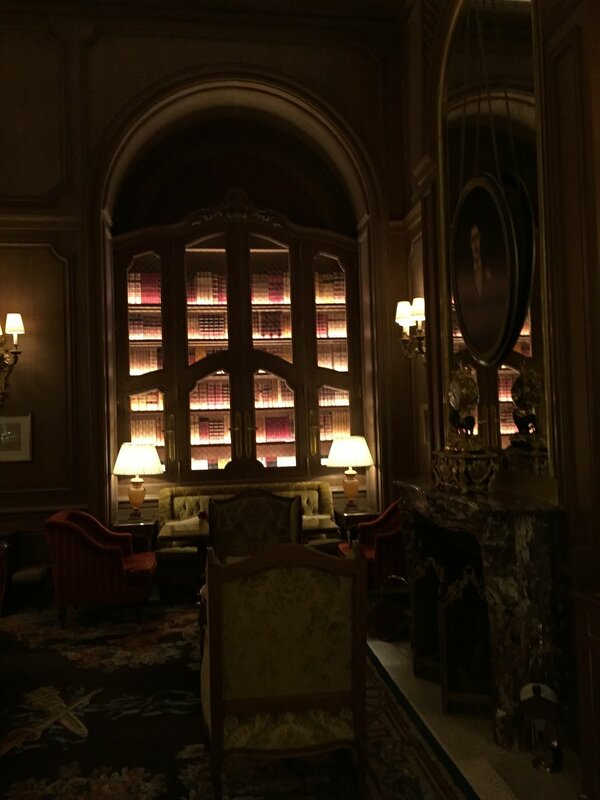 We suggest it the Hemingway Bar to anyone going to Paris as a can't miss experience! We also ate dinner in the formal dining room. 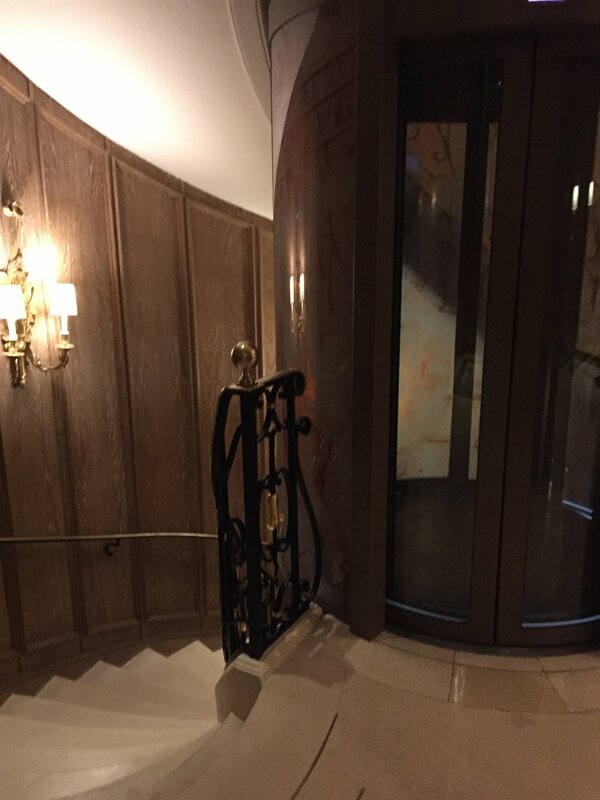 It was hands down the most special dining experience we have ever had. The food was absolutely amazing, from the tasting to the bread to the dessert bites. And the service, they actually brought the bread out on wooden paddles and sliced it on a carving tray in front of us. The entrees came under silver domes, which I had never experienced before, and the waiters wore white gloves. 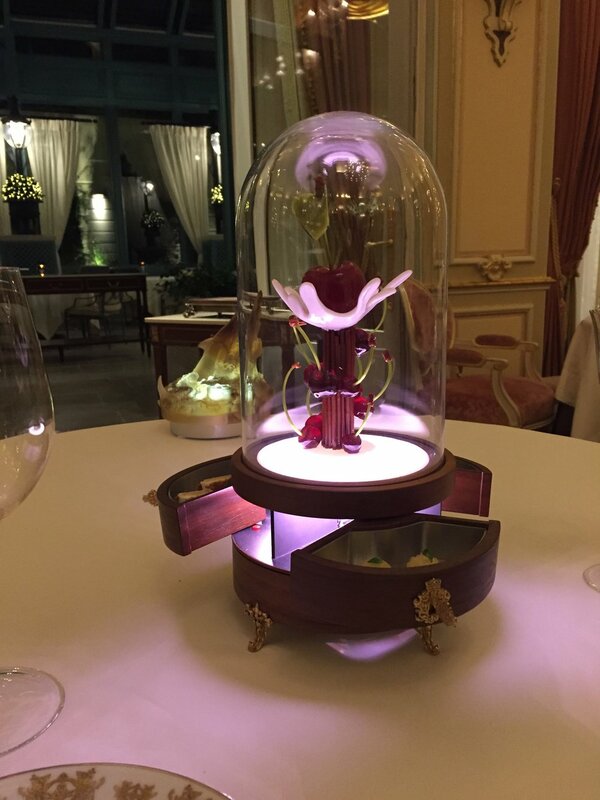 Finally, the glass dome that looks like the rose from Beauty and the Beast is the dessert bites! Little candies are in the drawers. For an every day dinner it would be over the top, but for out honeymoon it was an amazing evening that we will treasure forever.